Soccer goalie – profession special. Millions of people with great interest follow the football game, expecting goals. And goalkeepers over and over again deprive them of this joy. That's their job. Football game sport. There is no need to be faster / higher / stronger. To succeed in it everyone can. But you need to put a lot of effort. Their goaltender is already 50% of success of the team. Therefore, any goalkeeper has a huge load than any of the field players. And the load is not so much physical as psychological. You should be confident, mentally stable and strong in spirit. To help out the team in all game episodes are not by any goalkeeper. A good goalkeeper should not be upset after every goal conceded, even if he skipped his fault. So try to forget any negative episode and similar mistakes in the future to prevent. Be calm and cool. During the game happens a lot of stress and nervous situations such as missed or unused balls scoring chances, so never lose your head. As already mentioned, the goalkeeper figure in the team special. In addition to their duties to repel opponents, you should be able to lead the line of its defenders, and give players a variety of game scenes (with a penalty corner, the other opponent's attacks). The goalkeeper must not be silent. When the team has a good goalkeeper, all the other players feel much calmer. Because when in defence, in security, you can think about the attack. Thus, we can derive the following formula: a confident goalie is a confident team. You need to remember that your main task is to repel the balls flying in your gate. This does not have to be six-foot vertical leap. A good goalkeeper is distinguished by a proper choice of position in the gate, and reaction. What would you do to achieve appreciable success in this activity, you need to work, work and work again. Profession soccer goalkeeper is no exception. Dedication in training and in games, constant self-examination and striving to be the best – that's the key to success. The history of football is replete with examples where notable success was achieved by the goalkeepers, not endowed by nature outstanding physical characteristics. But with hard work in training, perfectionism and athletic arrogance allowed them to overcome all difficulties and become the best. It doesn't matter how you flip an opponent on his goal. You can do it in a beautiful jump, can account for choice of position just to catch the ball in his hands. The main thing – the result. No matter how it's done. Efficiency is paramount. Thus, commitment, sports will and indomitable spirit – are the main components of a good goalkeeper. To be a goalkeeper, so do not be afraid of the joints. Fighting for the ball, you often have to come in intimate contact with an opponent. Any episode you need to play to the end, if you have decided to join the fight for the ball, no need to change it. We should never think about the possibility of injury. During the game, think only about the game. You need to always be concentrated and to follow closely all movements of the ball. Because you never know at what moment it will strike. Training goalkeepers is different from training the rest of the football team. However, the goalkeeper is an important part of the team. This is generally carried out by specially trained coaches who last played as a goalkeeper. But if your team is not a special coach, please review the recommendations below to increase training efficiency. Give the goalkeeper practice. Without match practice, the condition of the goalkeeper will sharply decline, so it is not necessary to keep a team for many goalkeepers. It is advisable to alternate players at the gate depending on the tournaments in which the team is competing. For example, the championship had one goalkeeper, and in the Cup - is another. Teach goalkeepers to catch the ball. 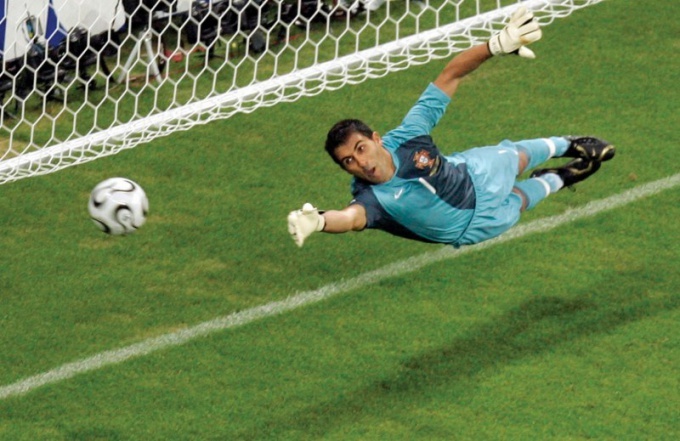 Sounds corny, but a significant part of the training of goalkeepers will take catching balls in different circumstances.Teach goalkeepers to catch the balls without falling, flying high and falling, flying low. 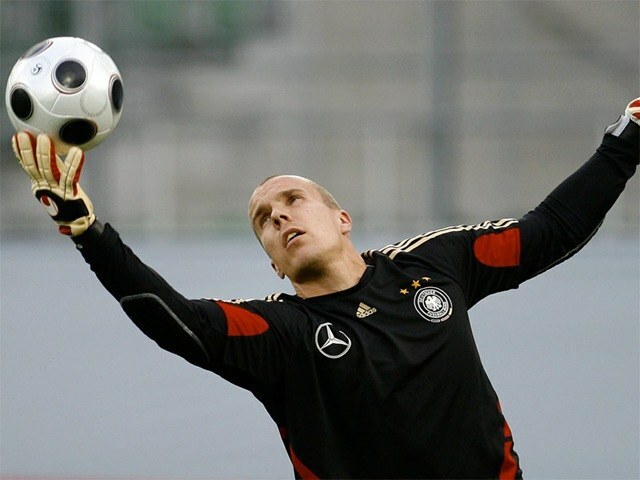 Teach goalkeepers to catch balls that fly away from them, as well as the high balls in the jump. Pay attention to hitting the balls. In cases when the ball is flying high and there is a significant chance of losing the ball is to hit it with his fists. The brush should compress and the palms turn inward. Phalanges of all fingers except the thumb, the goalkeeper must return the ball. In cases when the goalkeeper reaches the ball with both hands, he should be able to hit the ball with one hand. Teach your goalkeeper to correctly throw the ball. In the case where the goalkeeper cannot handle the ball with your foot, you should throw the projectile with one hand. However, the goalkeeper should make sure that when swinging with the hand the ball will not fly into his own net.The goalkeeper should be able to sharp rotation of the body and energetic movement of the hand to send the ball forward, preferably exactly at the player for his team. The goalie position is the last line, which separates the opponent from the desired goal. However, not all mentors know how better to train a player in goal. Start with physical preparation. Despite the fact that the goalkeeper does not need a lot to run on the field during a football match, he should be able to compete for the ball. He needs to have a strong torso and harmoniously developed muscles. Therefore, training in the gym two or three times a week will be required. Do not forget about cross training. This will help to develop endurance for long workouts and lots of games. Go to the pool at the end of the week. Water treatments will help to restore muscles and give energy for the next cycle. Train your legs, doing special jumping exercises. You can do both in the gym and in the General group of players. First, always perform squats and polupricepy the post. For a goalkeeper jumping foot is crucial. Secondly, do a split step with a weight or without it. In each set must be at least 50-60 reps. Thirdly, perform a leg press on a special simulator. This exercise is less traumatic. All this will help to develop the thighs, buttocks and legs, that will affect the jump ball. Develop the reaction. As it is banal sounds, to become a good goalkeeper, you need to reflect as much as possible flying to the target goals. Ask teammates to hit from different positions many times. Let it be a corner, free kicks, penalties, shots from the long distances etc. more Than one workout caught or beat goals, the faster you develop goalie skills. Try to pick up the ball always ahead of the enemy, not letting him even get a shot on goal. Teammates need to feel that you — a reliable guarantor. Learn different techniques of handling the ball. These include: knocking the ball a foot off the goal area and penalty area, hitting the ball with the fist grip in the hands. These skills you must possess in perfection. Hit the ball along with colleagues in the club. With strong shots on target do not try to take the ball in his hands and shoot him with his fists. To model these aspects many times in each session. 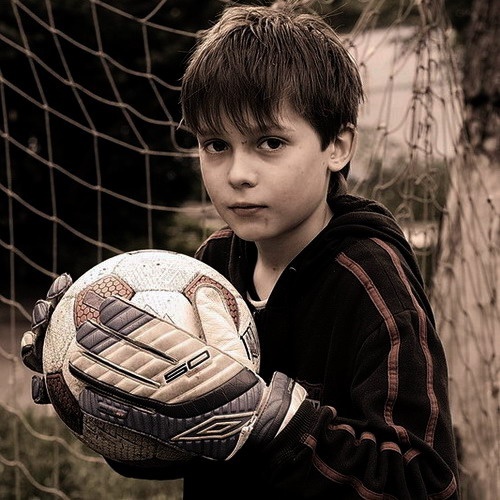 A good soccer goalie must have a very specific set of qualities, some of which are innate, while others are quite amenable to training and development. Soccer goalie is primarily associated with absolute fearlessness, he must boldly throw himself at the feet of the attacker at the exit, and take desperate leaps, trying to pull the ball from the top corner of the net, despite the risk of getting a painful blow from a ball or, worse, to hit the crossbar. The second characteristic worthy of the goalkeeper - excellent response. The approximate speed of the ball after a heavy blow is about 80 kilometers per hour, and the record in this area belongs to the legendary Robert Carlos, after hitting the ball speed was 140 kilometers per hour. Thus, reflexes and fast reaction is the most important attributes for a goalkeeper, if you expect to succeed and make a career in football. The third and most important distinctive feature of a good goalkeeper - cool. Failures happen to everyone, but the goalkeeper even after the most offensive conceding a goal must come together and continue playing as if nothing had happened. Pretty common situation when the goalkeeper after perfect errors is not able to continue the game at a decent level, starting to get nervous and make stupid enough mistakes - in short, loses his temper. If the above characteristics pertain more to human qualities, being, in General, traits that change is extremely difficult (with an exception response), you must pay attention to skills, the development of which for any healthy person. Jumping ability. The standard height of the gate in big football is 2 meters 44 centimeters, a man of medium height not too easy to jump to the crossbar. But if the ball is flying right over you, and into the top corner? Door width - 7 meters 32 centimeters, so if you stand in the center of the gate, to repel flying in the top corner of the ball you have a few seconds to cover the distance of approximately 3.5 meters. Training this skill involves the performance of exercises on the jumping ability and the development of explosive strength of leg muscles. Coordination. Every movement of the goalkeeper should be honed to perfection! In a critical situation no time to think, so all actions must be performed reflexively. So, the goalkeeper must return the ball directly in front of you and to the side, in a special way, turning the brush at the feet of the defender need to throw a verified motion to pick up the ball, and not get injured. Such nuances are many, and the only way to develop these skills - constant practice, the monotonous repetition of the same exercises to buy so-called muscle memory. You have to forget about the habit to close my eyes when approaching the ball, goalkeeper is simply criminal! This skill is quite difficult to acquire, because of the need to overcome reflexes, based on the instinct of self-preservation, the strongest human instinct. In addition, the goalkeeper must learn to control his defenders, to correctly build a defense, the right to exhibit a "wall" with the implementation of the standard provisions and accurately enter the ball in play, not allowing hitting the ball to the opponent on their half of the field.